The Configuration App (found in My Programs) scans a QR code that can contain setup information for language, timezone, time, and WiFi connections. A web page enables anyone to create the QR code. Open a Web browser in your computer. Select the desired language and click ‘Next’. You will need to select the world region first, then the time zone. The ‘Set Automatically’ checkbox will default to checked with the values from your computer or phone. If you desire different settings, uncheck the box and change any values necessary. Optional: Enter the WiFi access point name (or SSID) and password to setup the Wi-Fi network for your HMT. Note: most simple WiFi networks use WPA/WPA2 PSK security. Click ‘Generate Code’. A QR code will display on the computer screen. The device will start beeping. Scan the QR code by pointing the HMT camera so the QR code is within the target outline on the display. When the QR code is scanned a tone will sound and you will be returned to the previous screen. 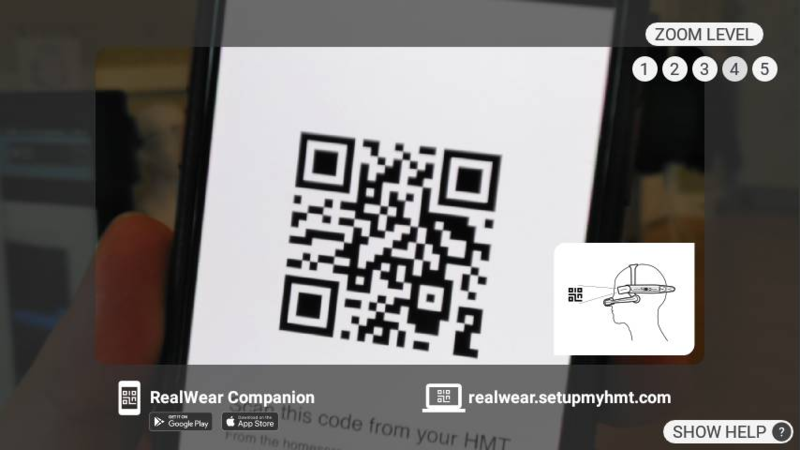 The preceding steps can also be accomplished using the RealWear Companion app, available on the App Store and Google Play. 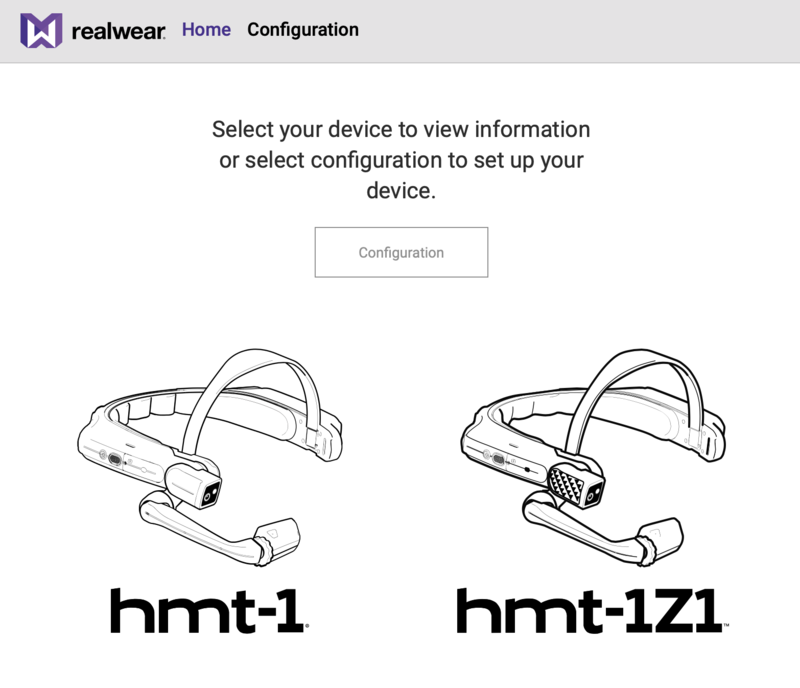 Note: when you power on the HMT device for the first time a remote configuration screen will be displayed. To skip the remote configuration and perform later, press the Action button. You may return to the configuration app at any time by saying “NAVIGATE HOME” > “MY PROGRAMS” > “CONFIGURATION”.